The incident took place last Saturday, August 4, around five o’clock in the morning on the premises of the BPB company, formerly part of the Aero Club, located in the Ramón Carrillo district and the campus of the Villa Maria National University. The main protagonist is a security guard who saw some lights moving over the field behind the company for which he currently works, near a wilderness. Thus, and due to the strange activity, the decided to take a closer look. When he reached the site, 200 meters from his customary position, he first came across smoking burn marks on the ground, as if freshly burned. “When my guard was over, I went out to patrol the wilderness in the bank. Since we have animals, we must look after them. But as I walked with the flashlight, I saw something burned in the grass. I started to feel fear, as this was out of the ordinary. When I looked up, I saw something moving. It was like an animal, something that hid. Something strange and out of the ordinary. I got scared and opened fire. I then phoned the factory bosses to tell them what had happened. That’s what went on,” he explained to several media outlets. Eduardo’s eyewitness account can be seen in video in several different digital media, but the most significant thing is that it dovetails with the stories provided by some locals, who claimed having seen strange lights flying over the neighborhood that same morning and time. What strikes their attention is that a few months ago, a local had recorded unexplained lights at Pereyra y Dominguez Park as they flew at high speed toward Barrio Carrillo, the new district of the major locality that stands between the old Aero Club and the college campus. A place where strange prints had been found earlier, and where the lights of aircraft could be seen in the skies. However, these seemed to issue from other flying objects that no one has hitherto been able to identify. NOTE: The above image is CGI. A paranormal group visited me on the first week of August because I did not know where to turn. I explained to them I was experiencing occult influences in the form of entities that were able to control my thoughts and talk to me with my own voice. It has been going on for seven years. I thought it was a mixture of alien and supernatural but was not sure and needed help. I told them I did experience seeing a UFO at least twice. I saw one fly over my home around seven years ago when this all began, it was very large, about the size of my house, and flew off extremely fast when I saw it for about a second there over my house. The second event was around five months ago and it flew left, then flew right, stayed there for a short while. I showed no interest because of my symptoms and it disappeared. I have been guided into believing the control over my mind is robotic and from implants. They have mentioned Reptilian to me. I saw a Grey once in my room but am not sure what to consider actual because I know they like to trick and manipulate. The word Illuminati comes up a lot. I have been getting attacked both mentally and physically. When the paranormal group came they tested me for EMF signals, and I was emitting them from the left side of my ear and my arm. The group has it recorded on a camera video phone. They tried reaching out to you and I was told to personally submit a report. I can ask for the video of the EMF when you reply to this if you need it, I am unsure as to the procedure you take. I have been struggling and life has been very hard for me with all of these attacks. The attacks include pains in the head, chest pains, unwanted sexual feelings, heating of the body, loss of memory, feeling drained and tired, being kept awake at night, altering electronics such as music I’m listening to, nausea, and I need help. I have a MRI scheduled for Monday and dermatologist scheduled in late September for this bump in my arm but I am afraid of ethereal implants which they have mentioned and other types of influence that I am unaware of how to get rid of. Additional evidence such as video of emf signatures can be provided I just need to ask the paranormal group to send it to me. NOTE: The above image is CGI. NOTE: This case is under investigation by State Section Director Bob Spearing of MUFON New Jersey. 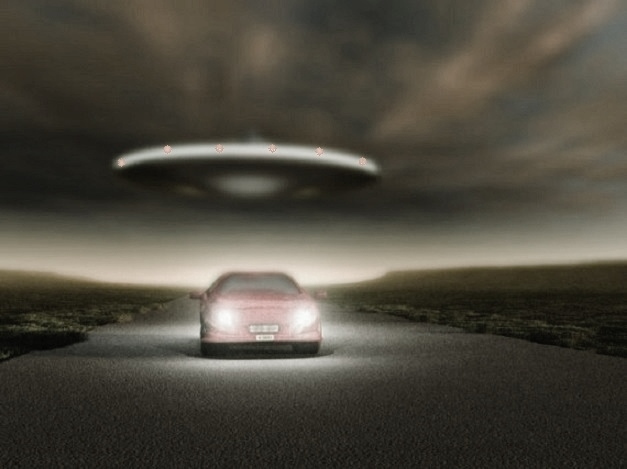 THANKS TO WWW.MUFON.COM CASE FILES. A young man, Ronnie Austin and his girlfriend, Phyllis Bruce (both 18) had driven to Mt. Vernon, Illinois, to attend a drive-in movie, “The Great Escape”. At around 11:30 PM they departed on Route 15 heading east for home, which was Wayne City. Phyllis had gotten angry with him, and as they drove along past the airport, Ronnie leaned over to speak to her. As he did this, he glanced out of the window to the south and saw a big white object moving along at treetop level, about 20-degrees above the horizon to the southwest. He described it as fuzzy and about the size of a washtub. Both witnesses watched, casually talking about the light for several minutes. Then they discovered that the light seemed to be keeping pace with them. Ronnie reported that when he speeded the car up, the object seemed to speed up. Also, when he decelerated, the object seemed to slow down, too. This continued, as indicated by the map included in this report. At first the light was on the south side of the car; then it crossed over in front to the north side. The transition took place when they were about 6 miles west of the Orchardville Road intersection. The object had been on their right (south) and keeping up with them, when all at once the object headed for the car. It appeared to get within a few hundred feet and then it suddenly gained altitude and stopped for several seconds over an electronic relay tower. Then the light shot across the road to the north side to the left of the car. It maintained this position for a while about 500 feet distant. They then turned north on the gravel road leading to Phyllis’ home, which was approximately 1.5 miles away. The object was now on their right. Upon arrival, Phyllis’ sister Forestine came outside to observe the thing, which was now in the southeast. The object appeared to move closer, so went inside, turned out the lights and watched through a window. After 15 minutes had passed, Ronnie decided he had better go home. He made a run for the car. As soon as he pulled away from the Bruce home, the object began to follow. In our interview with the boy’s father (Orville) on August 12, he told us that this is what scared Ronnie, the thought that the UFO was waiting for him to be alone before it took off after him. He had to head south and the object was on his left now. When he turned east onto another gravel road, the object suddenly shot diagonally ahead of him over a barn about a mile away, just beyond the T-road. The object now changed from a brilliant white to a duller or dimmer light with an orange tinge. Ronnie said he “really poured the coal” to the car and must have been doing 120 mph when he topped the hill on the gravel road. Then, he reported, the object flared bright orange and came straight toward him at high speed. It hovered over the car, within 100′. Just before it hovered it had swerved upward and Ronnie judged its size as that of an automobile. At the point right over the car his radio (tuned to WLS) went crazy with static, which was described as a loud whining sound.. At that time he noticed a “cooling effect”. The object made another pass at the car, this time west to east, and at this point where the object was again overhead, the engine of the car started missing. The object proceeded back to its position over the barn, hovered, changed to a duller orange. This small road running east to west is only about a mile long and the events that took place according to the witness indicates an increase in activity by the object, which really had the boy scared by now. Ronnie now turned north at the intersection (extension of road not shown) and headed for home which was over 3 miles away. The object followed him again. As he headed west down the lane leading to his home, the object cut across the road behind him to the left. He spun his car around in the driveway in front of the house, got out of the car and ran inside. The object was now above another farmhouse in the east about 300 yards away. When Ronnie woke his parents, they thought he had gone crazy. He told them that “it” had chased him home. He could hardly talk; every third or fourth word would trail off. Mr. Austin thought that somebody had chased the boy and was trying to hurt him, so he grabbed the shotgun as he went out the door. Ronnie told him that it wouldn’t do any good. Orville Austin told us that when he saw the object hovering over the field, he understood what the boy was trying to say. He put the gun down. 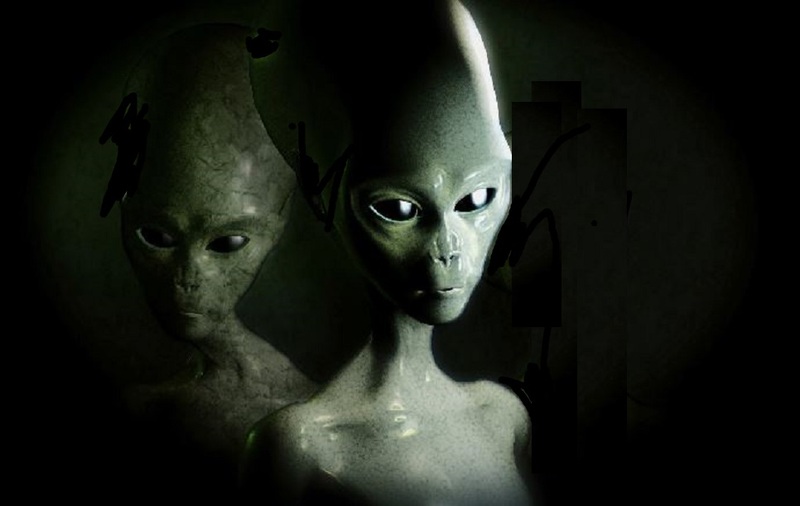 The object started to move closer again so they went into the kitchen and turned out the lights, watching through the windows. Mr. Austin felt that the object was attracted by the lights. Then Ronnie told him to call the police. Orville tried but the phone was dead. Later, the phone was operating and he called Fairfield Police. He said that they thought he was joking. He wanted them to contact Scott Air Force Base which was 80 miles to the northwest. It was about l2:25 A.M. now. At this time Ronnie’s parents saw that he needed medical aid. They called Dr. Konarski of Fairfield and he told them what to give him. When the police arrived, they saw the “object”, too. Several friends and neighbors watched this “object” and at one time Ronnie got scared and ran back into the house. Several buddies of Ronnie’s watched an object until 4:00 in the morning. Investigated by Indiana Unit No. 1, NICAP. NOTE: The above image is a rendering.